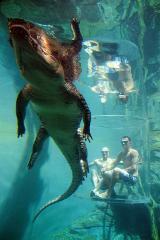 Crocosaurus Cove Darwin has set a new standard of interaction when it comes to the Top End’s most iconic reptiles. 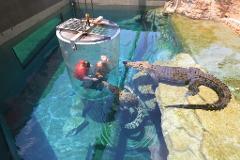 Home to Australia's only crocodile dive, the Cage of Death is a must do when visiting Darwin. The Cage of Death include 15 minutes in the enclosure with one of the attractions massive reptiles while they are fed from our experience reptile handlers from outside the enclosure. This experience encourages more movement from the crocodiles and ensures an up close and personal, face to face encounter that must be seen to be believed! 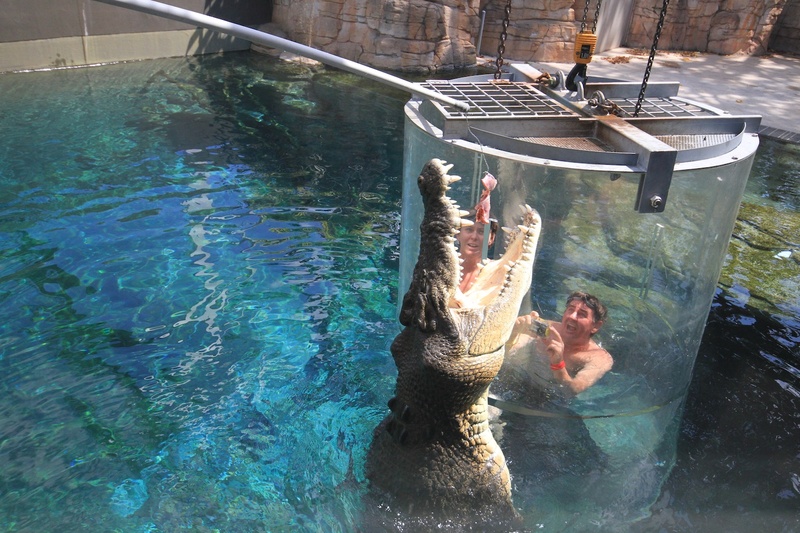 Operated by an over-head monorail and designed for 1 or 2 people per cage, the Cage of Death has you suspended above the crocs before being lowered into the pen to get an up close and personal look at these amazing reptiles. Don’t miss the chance of getting 360 degree views of you and the crocs as our on-site photographers captures amazing images both inside and outside of the crocodile enclosures. This is a once in a lifetime experience not to be missed! The Cage of Death operates 10 times per day, and participants can go it alone, or bring a friend. Prices include full day entry to Crocosaurus Cove.